These coals are so much better than the stuff you buy from supermarkets. Branded Restaurant grade charcoal, huge chunks that burn hotter and longer than the small charcoal chips from supermarkets. £17.94 with delivery or free collection from stores, these Big K 12kg bags usually cost around £17 per bag before postage and as they last longer you save more money than buying cheaper charcoal from supermarkets. I usually get 3 cooks from a lighted set of charcoal. 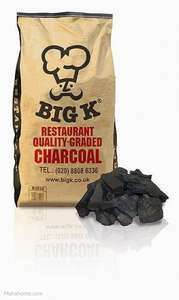 If you have never tried Restaurant Grade charcoal try these as the results are so much better. If you need delivery it's £15.44 on amazon. Guessing this would be good for a smoker? I have used a couple of the red big K bags from morrisons, very good compared to the usual supermarket "charcoal"
Word of warning.. I purchased a bag from Amazon and it wasn't Big K charcoal. It came in a blue bag and loads of chunks were smashed to tiny pieces. The charcoal stunk and was nothing like Big K. I also left a review like loads of other ppl who also received a blue bag. These are fantastic for smoking.. No need to refill at all. I smoked some lamb shanks and shoulder for around 9 hours straight no refill and the coals were was still burning hot after that. These are fantastic for smoking.. No need to refill at all. 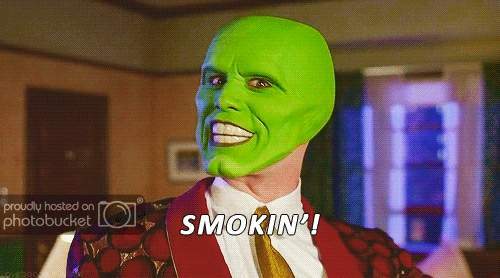 I smoked some … These are fantastic for smoking.. No need to refill at all. I smoked some lamb shanks and shoulder for around 9 hours straight no refill and the coals were was still burning hot after that. How many KG's did you use? I assume you were cooking with a WSM or similar? I use Aldi / Lidl briquettes in my ProQ Excel Elite and for £2.49 a bag I find them unbeatable value. I get around 12 - 16 hours on one bag. I recommend you try these restaurant grade charcoals. I was skeptical at first because they are more expensive but they last so so much longer that you end up saving money and time not having to refill. The food just comes out much better with restaurant graded charcoal. The 15kg bags are graded even better but I found the pieces too big for normal barbecuing, perfect for smoking but these are ideal for barbecuing and smoking. How many KG's did you use? I assume you were cooking with a WSM or … How many KG's did you use? I assume you were cooking with a WSM or similar?I use Aldi / Lidl briquettes in my ProQ Excel Elite and for £2.49 a bag I find them unbeatable value. I get around 12 - 16 hours on one bag. I use around 4 kgs in the Big Green Egg or 5 to 6kgs on webber but depends on what I cook. I used lidl briquettes which are good value but let off a smell and burn time for me wasn't that great at all, at least for me. These burn hotter and longer than other restaurant grade charcoal I've bought. 5 to 6 kgs will get you around 16-18 hours. Heat distribution is better using these so cooking time is reduced by quite a bit. Can you use the minion method with these, being larger in size? Perhaps my burn times are longer because I use a Heatermeter with an air blower. Thanks, ordered, will use with a chimney starter. I have always used Weber Premium briquettes, which I found were pretty good/consistent, but they cost around the same as this per kg, so want to try lumpwood instead for once and compare. Just a note: They have this at Bookers and Makro etc for £11.99 (Grade A pieces). I get the restaurant grade bags from Makro and can recommend them. Though they did appear to charge vat @ 20% when I bought some last month, I'm sure it used to be 5%. Just a note: They have this at Bookers and Makro etc for £11.99 (Grade A … Just a note: They have this at Bookers and Makro etc for £11.99 (Grade A pieces). Bookers have 12kg bags for £9.99 but you need a bookers card to buy anything from there. It’s a shame as I have a local Bookers, also they are blue bags at bookers, Big K is better from my experience.